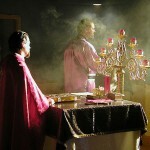 Matins (Morning Prayers) or the Divine Liturgy and Vespers (Evening Prayers) will be served nearly every day at St. 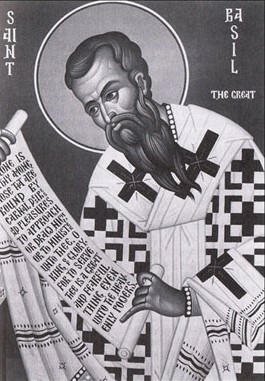 Basil the Great Orthodox Mission in Weatherford, OK. There are several feasts interspersed as well – see our Calendar page for details. All are welcome to join us in prayer and to learn more about Ancient Christianity – the Orthodox Church! Matins (also spelled Mattins, from the Latin, matutinae, “morning”) is the Western familiar term for Orthros (from the Greek, meaning “morning”, “dawn” or “arise”). It is the most intricate of the daily cycle of services (see below). 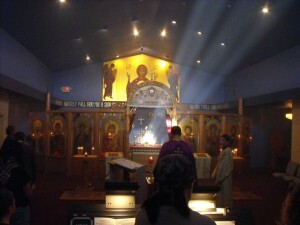 Vespers (from the Greek, ῾εσπερα, and the Latin, vesper, meaning “evening”) is first service of the daily cycle of divine services celebrated in the Orthodox Church. Because the liturgical day begins at sunset, Vespers is traditionally served in the early evening.